Here are my rankings on the golfing in these 2 countries on a scale of 1-10 with 10 being best. Dominican Republic (9): Golf in the Dominican Republic is well-developed. The areas around Punta Cana and Casa de Campo are worth travelling to as they have some incredible golf courses thanks to the work of golf-course designers like Pete Dye and Robert Trent Jones Sr.
Thailand (7): Thailand boasts over 250 courses and the best courses are located in one of five major golf destinations. Hua Hin, Pattaya, and Phuket are all resort areas near the sea. Chiang Mai is in the northern mountains, and some 60 courses are available to those golfing in Bangkok. Dominican Republic (7): The golf courses located in Punta Cana and Casa de Campo are affiliated with a 5* beach resort, which practically guarantees high service levels before and after each round. However, on course there is an apparent absence of caddies and limited facilities or refreshments. Thailand (10): Golf in Thailand is all about the service. Thai hospitality is some of the world’s best and golf in Thailand is no exception. Caddies are compulsory at all Thai golf courses for every golfer whether or not golf carts are used, thus ensuring excellent service is available at all times. Dominican Republic (6): The Dominican Republic is developed towards golf tourism and the main golf areas offer top class golf courses combined with beach resorts. The Punta Cana area has its own international airport making it easy to get to this area on flights from a large number of airports around the world. 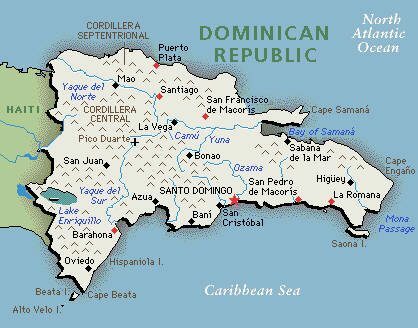 However, this also makes this area a poor representation for those who expect to sample an authentic Dominican experience. Thailand (10): The Thai Golf Experience is too hard to describe and must be seen to be believed. Take my word for it; give it a try and you might just get addicted and become local. Anything and everything is possible when you golf in the Kingdom of Thailand. Dominican Republic (5): Golf in the Dominican Republic is expensive, especially at the better courses which are in high demand. is fairly pricey. Green fees run around $250 US Dollars a round. Hotel costs are also on the high side and can be $300 US Dollar a night for a 5-star golf resort. Better deals can be had on the low season from April to September. Thailand (8): An overall Thailand golf vacation is affordable as hotels, entertainment, and food are all reasonably priced. Green fees start at $30 US Dollars a round at remote courses (Chiang Rai) and go up to $200 US Dollars (Blue Canyon Phuket). To get the best deals buy a package with golf, hotel, and transfers from a local golf tour operator and travel during the summer months of July and August. Dominican Republic (6.95): Dominican Republic is the best golf destination in the Caribbean especially for jet setters and those looking for world-class golf courses at ultra-luxury resorts. However, cost conscious golfers and those looking for an authentic golf holiday might best look towards other golf destinations. Thailand (8.7): Thailand wins over the Dominican Republic due to its wider appeal across all golf travel sectors. It is so good over so many aspects that many golf tourists now make Thailand their annual home away from home. Stay tuned for the next world golf challenge to see how Thailand stacks up against other golf destinations. Let me know if you want to see your country included in my survey.